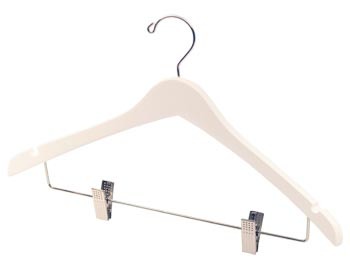 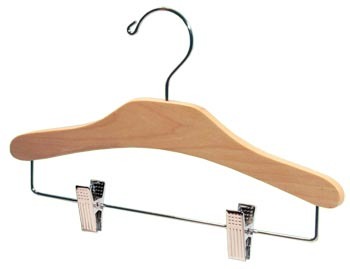 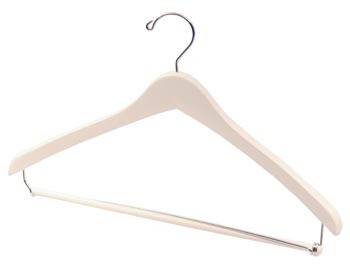 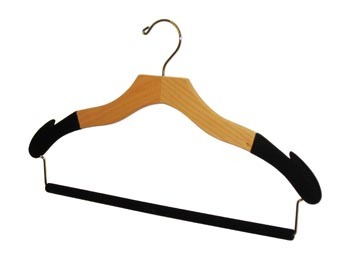 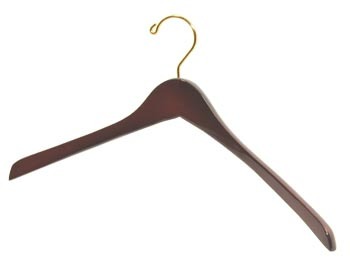 We offer a selection of Children's Wooden Hangers with Clips come with movable cushioned pinch grip clips that are great for holding complete outfits. 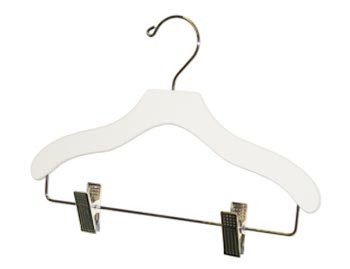 Two piece top and bottom combination hanger will allow you to mix and match shirts, pants, skirts, dresses and even shorts. 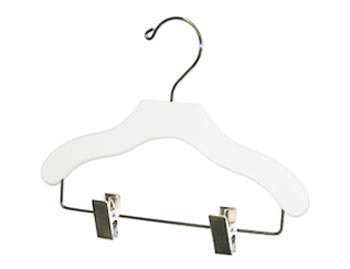 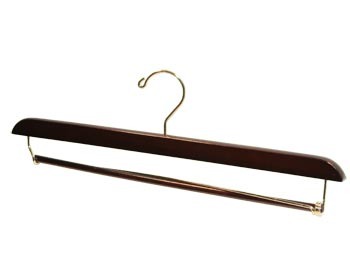 These small child sized wood hangers are available in a 12 inch hanger length that will fit most kids and juniors size clothes and also comes in a smaller 10 inch length that make them perfect for baby and toddler clothing sizes. 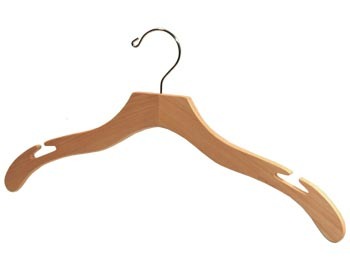 We use only natural US maple wood for our line of childrens closet hangers. 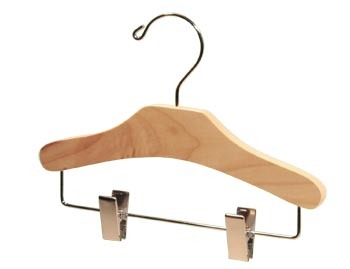 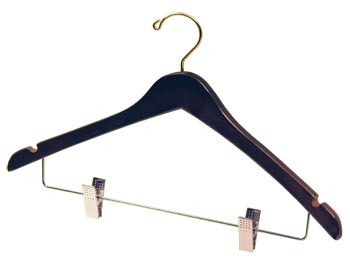 Hanger Store also offers Children's Top Hangers and Custom Children's Hangers.